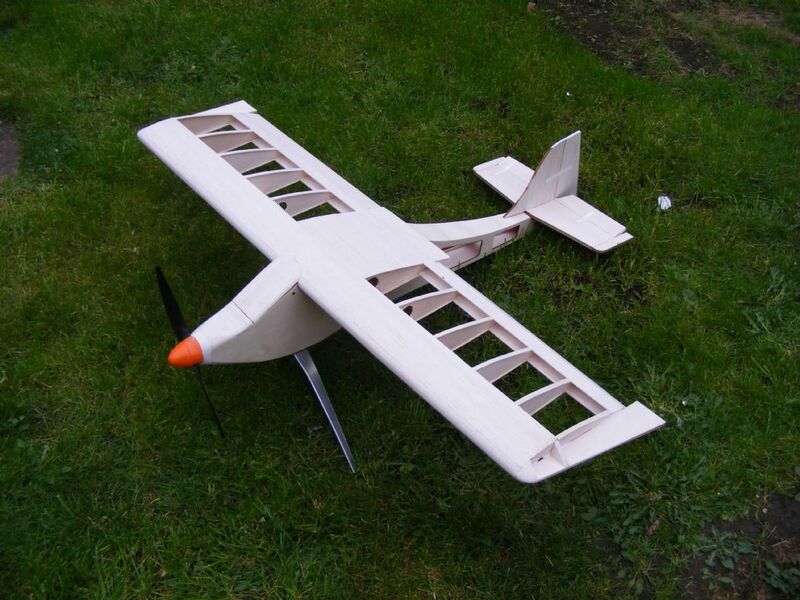 Something I have always wanted to try is a convertable fixed wing model. 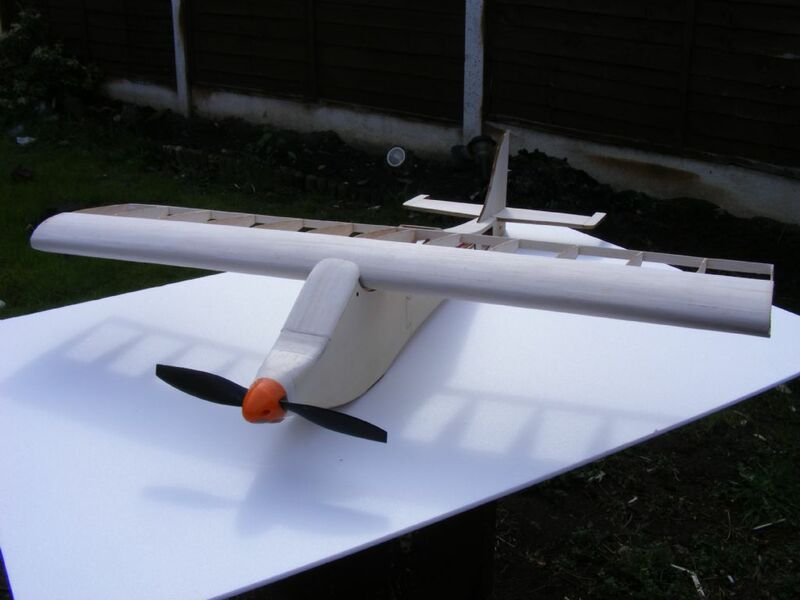 In that you can fly it as a fixed wing land,remove the wing and add on a rotor system and fly it as an an autogyro. Maybe even 2 types? 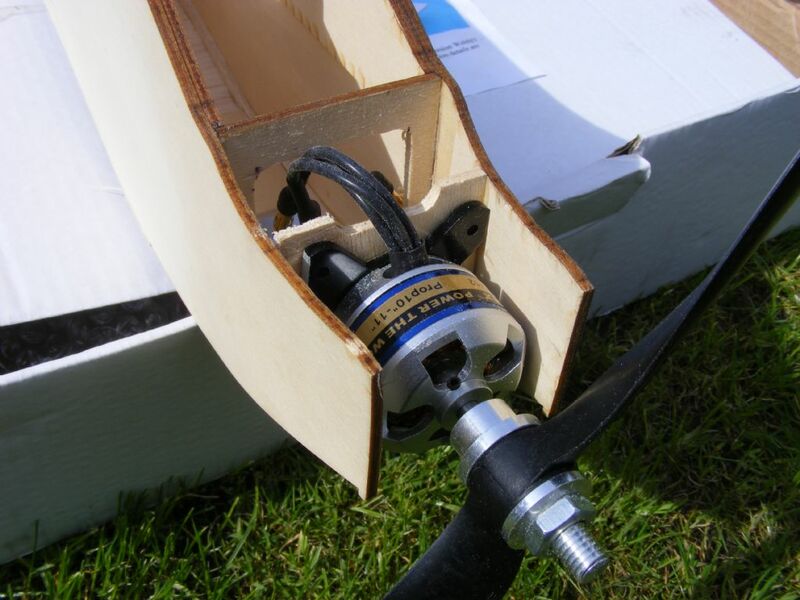 one with a DB type short stub wing with counter rotating rotors on each tip and the other as a DC (direct control) head with a single 3 bladed rotor sat on top. 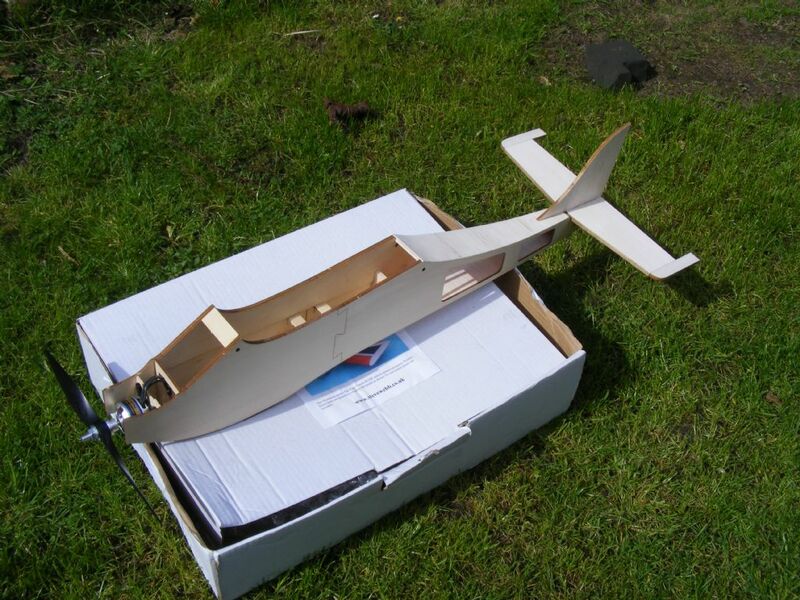 Tomorrow I will make a start on the 'fixed wing' airframe, try and get this complete and flown in a couple of weeks. I will try and figure how to add photos when I have some! This sounds interesting Richard - looking forward to seeing how it works out. 3 hours work this morning and I now have what looks like a fuselage! I was not happy when I placed my motor onto the bulkhead is it sat a little too far back for my liking. Having read a few reports that weight is added to most I made up a new bulk head. This is positioned about 20mm infront of the existing one, the original one has been cut out to aid with battery location. The one thing that concerns me is that autogyros like to have a bit of down thrust normally inline with the CG of the machine. Not a problem for the AG but how it will effect the Fixed wing version I do not know..only out at the field will tell I guess. The tailplane was a little over size so I just added a couple of slots in both, no big deal. More tomorrow....can we upload PDF'S? I can add my new former if it is of help to others that I have drawn on solid works? Had a couple of hours spare this morning so started on the wing, not yet complete but should manage to get on top of it later this evening. I will be using Emax 12g MG servos through out , I have used a few of these and for their size produce plenty of torque. Motor is now fully cowled, this is split so that I can get at the motor. You cannot see from these photos but it will be cooled via a duct opening underneath. 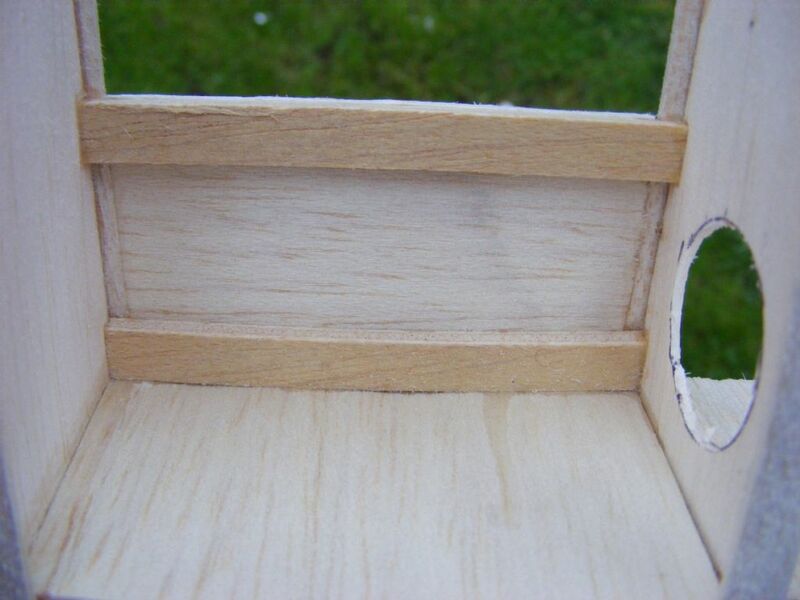 I have made the front canopy a removable hatch so as I can fit the battery in and out. Brilliant Richard, very innovative, and I like the fully coweld motor. Between finishing work and the kids getting home from school I managed to complete the wing bar for a couple of soft balsa need for the tips at the TE. I have also made up a duraluminium UC, I have widened the track compared to the plan. Autogyros are renowned for tipping over as they take off so a little extra always helps. 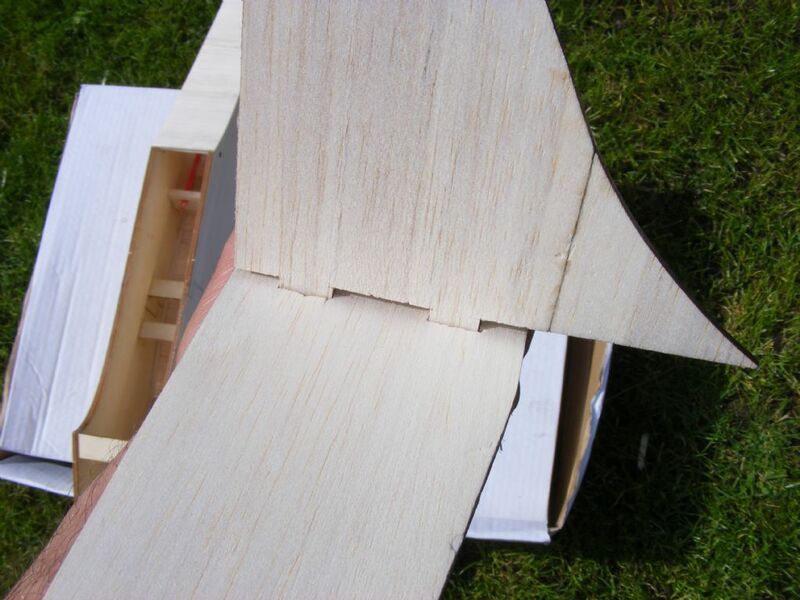 I have made my rudder larger in size as this will help in 'autogyro mode' (if it gets to that stage! Will hinge the tail feathers tomorrow and start creating balsa dust in readiness for the covering. I have to say I am surprised just how quickly the Webbit has gone together, if anyone is 'thinking shall I have a go'..do it! 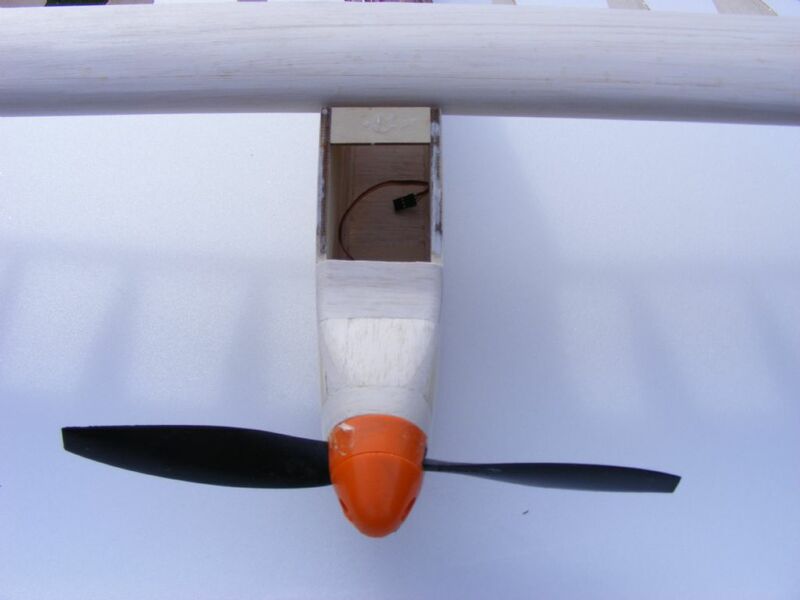 The above photo is the mounting beams for the aileron servo (one each side) sheeted over in 1.5mm balsa to align the surface with the rib capping off strips. I looked through my 'box of shame' for some some wheel spats but the ones I found were way to big and heavy. With some of that pink B&Q insulation foam I carved up a set to suit (ish) the WebBit, and epoxied a ply mount to them. They were then coated in Liquid Wings and left for a couple of hours to cure, a light sanding and I will give them a coat of primer tomorrow. 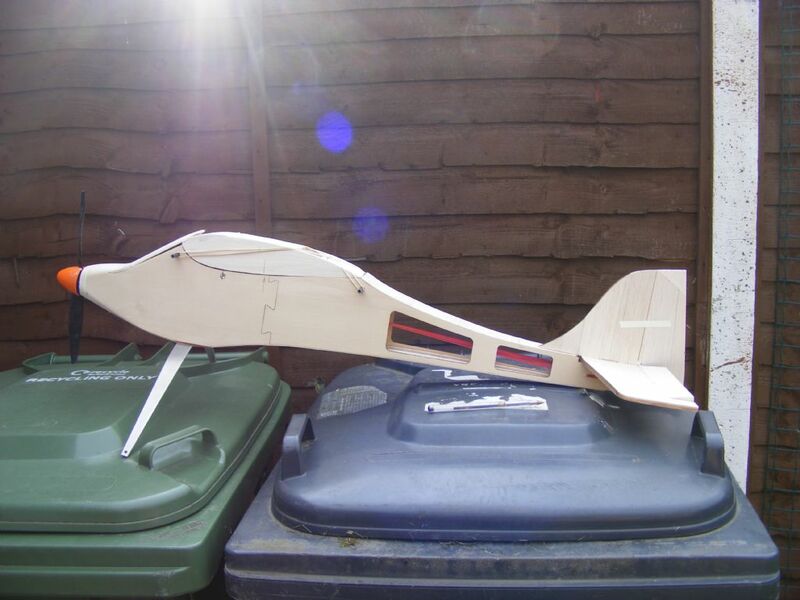 Now I have nothing left in the box and the airframe is virtually complete, so I have started to make up the pod that will sit in place on the wing mount. This will be removable with the use of 'lacky bands', to this pod will be mounted the rotor mast and hopefully the 2 servos needed will fit inside unseen. Tonight I will try and calculate ...ok guess!..the position of the rotor spindle compared to the 'fixed wing' CG. The idea is to design in such a way that the CG does not change and I can inter change from one to the other. I'll follow you all over your just THAT GOOD I like it so far if anyone can pull it off it's you. One question, what's "Liquid Wings" ? Hi Bill...hope the op went well mate? Liquid Wings is a 2 part water based covering that is used to cover models, it will go over foam or wood etc and is self levelling. 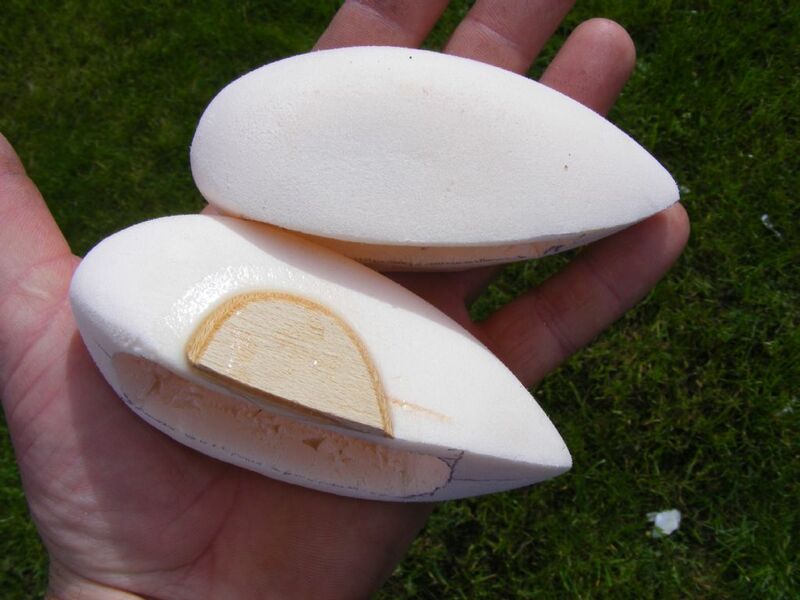 It gives a hard shell and is really light . Kind of like epoxy but without the smell and it goes off in a couple of hours. My local model shop stocks it , try a google search. OK NOW I UNDERSTAND. That seems to be a nice simple kit and additions to it should be easy. I will stay tuned and keep checking up. The big fly-in at the end Is that something you could attend Rich? Yes anyone can attend Bill. Modellers and spectators. Richard, thanks I'll have a scoot around 'tinetrnet for Liquid Wings. Isnt it the same as liquid sheeting - as reviewed this month in the mag by David? Yes that's the stuff , just from a UK supplier and renamed by the looks. It smells very much like PVA. 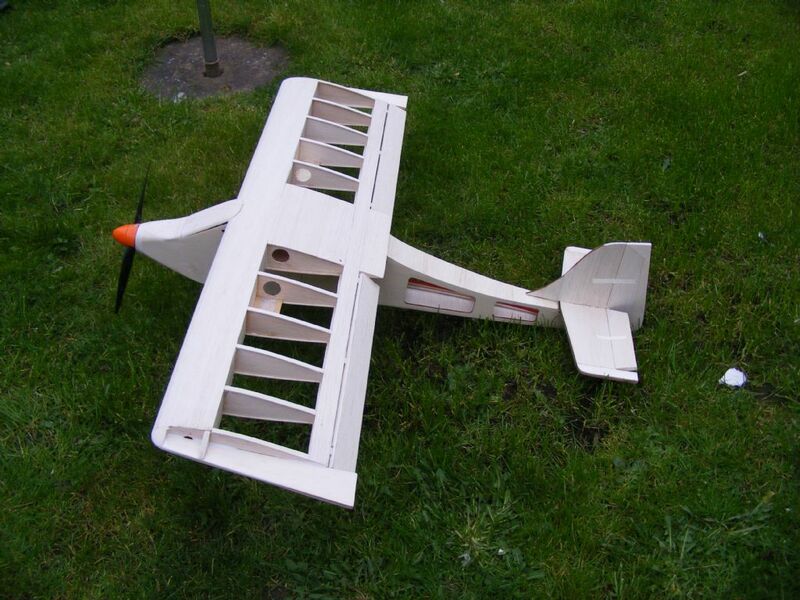 It does add a nice shell to the airframe but it is more as a finishing coat rather than for strength. 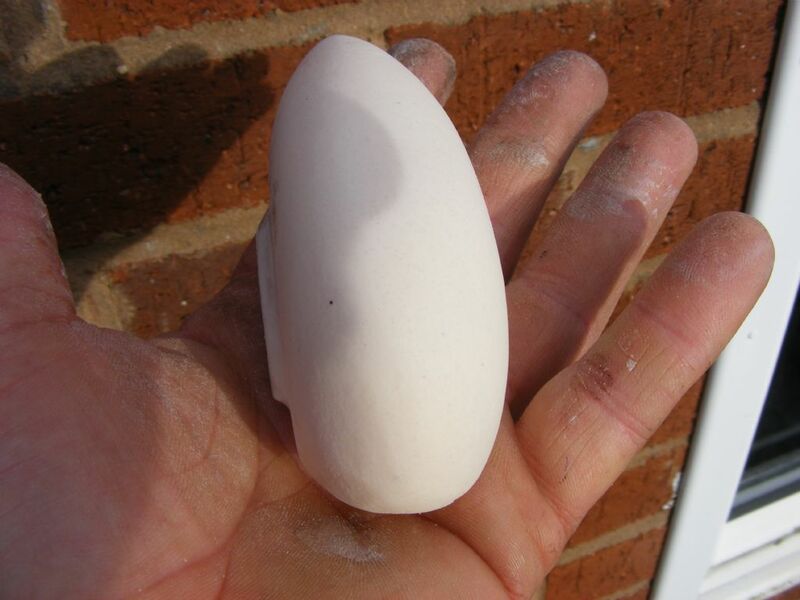 Using it on a flat surface is easy but I had problems trying to get it even around a contoured surface. I now mix it leave it for 20 mins so that it thickens up and then apply it, seal the mixed solution and give it a second coat after another 20 mins. I made an all depron indoor pusher and gave the fuselage a couple of coats of this stuff, it really is resilient to gym walls! When I first received it I thought that the tins were a bit small, but it does go along way. 1 articles Here's the UK company Liquid Wings, they list just a few local hobby shops. My local is one of them Must give it a try. A bit pricey mind you just to try, and they suggest it only has a 6 month shelf life.